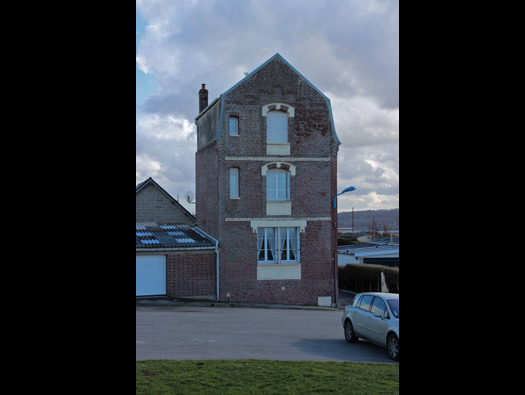 Tre016, Mers les Bains H.K.B. Stp Gruppe Le Tréport, K.V.A. 'E1', Houte-Normandie. Tre016, Mers les Bains H.K.B. Situated on the top of the cliff. 2 x 2.5cm Pak 112(f). 3./H.K.A.R1252 a four gun battery of 10.5cm K.35(t). The gun has quite a a long barrel that when towed the barrel is drawn back to shorten the carriage. This was a large site, a case-mated gun battery, a flak site and a defensive position. Underneath that large mound of earth around the Notre-Dame-de-la-Falaise is an R671 now covered in earth and the monument is sat on the top. Plan showing how extensive this site was and where the only R671 remains. R671 at Wn22 Mt Coquerel H.K.B. Normandy. 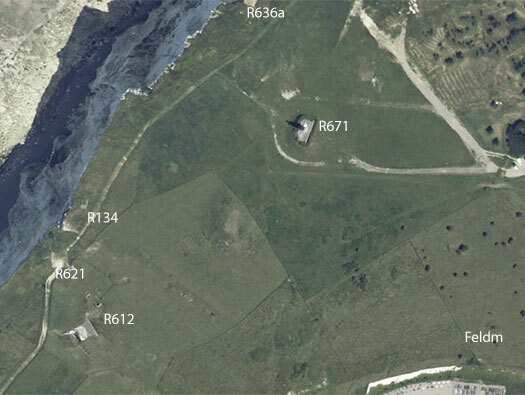 The main battery site was the four R671 casemates and the R636a fire control post. Then the accomadation bunkers R502, the odd Wellblech and Feldm. Two large ammunition bunkers R134 & later design R607. Defence positions, an R612, R600b with its 5cm gun, lots of Vf58c Tobruk's and a flak battery of 2cm Flak 30. The long bank with a small opening is a Feldm. Feildmassig - Curved plate shelter. This is just outside of Tre016 and sits in Tre01 just down the cliff edge? but what unit it was attached to I do not know. The added concrete camouflage added to the walls. This is a soldier at Mers-les-Bains looking out to sea. 7.62cm F.K. 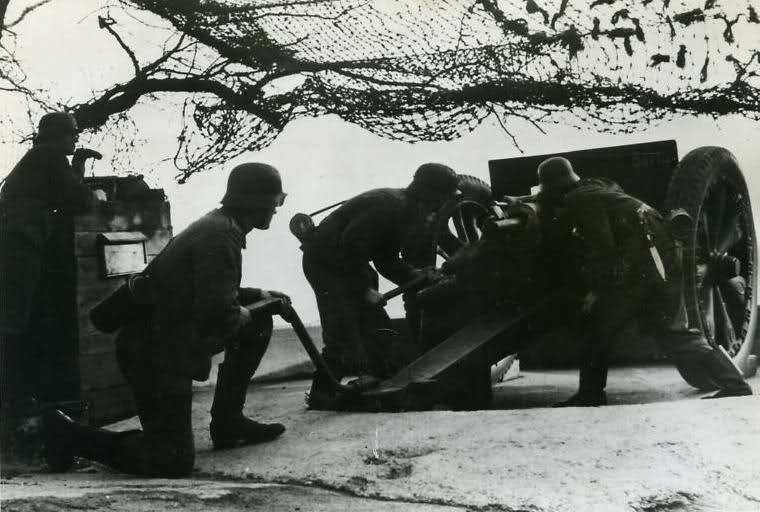 (Field Kannon) 39 a standard horse drawn battery gun here used as an anti shipping or anti tank roll. They were very effective in Normandie at the time of the invasion when protected by their bunkers.. Looking from the roof at the range of the gun covering he slope of the hill. Rear door with and the extractor vent. The gun would have been placed inside and the earth pushed back to make a trench entrance. Ammunition niche can be seen on the left side and the rest now full of rubbish. R612 plan showing its two ammunition niches at the rear and they would have been shells on one side and powder charges in the other. The view through the embrasure. Not always do you find the original field bunker behind the casemate. This was possibly placed here just after the Channel ports were captured and then up-graded after 1942. It looks as though it took a direct hit if there was much ground fighting when the Canadians came through. Both well sighted down the slope. Kablebrunnen connection box for field telephones, there was/is one by the cemetery wall. Trench leaving the bunkers up the hill. Early on in the war it would have been Blenhiems that pestered them. Later low level Spitfires would make daily raids across the channel. Screw Picket for barbed wire. Almost as if it was left there for us? Screw picket with its barbed wire. Much later on in the war Lancaster's and Halifax's made heavy raids on seaward defences on the run up to D-day. Two attacks outside the D-day area to every one inside. Trench system working its way up the hill. We did not go any higher up the hill than the R621 which we found the attached Tobruk. There are several bunkers up here on the hill and I have marked them out. Many I would think were either not built or were removed at the end of the war. A bunker for a section of infantry or a guns crew, here it may have been the crew of the R612 as there is an R134 munitions bunker between them? R621 group bunker with an attached Tobruk. R134 ammunition bunker at Stp Louise, Dunkirk. The one here is right on the cliff edge and sunken level to the ground which was a Hitler directive. Entrances into an R621 at the rear with the Tobruk first. The cut outs in the concrete were to hold the machine-gun racer ring in place. Now we are around at the cemetery looking up the hill. Some Feldmassig's or Wellblech bunkers. This house is situated behind the first Vf Observation Bunker. Could it have been an artillery lookout before the bunkers were built? Were there is an R671 underneath Our Lady. Must go up and see her next time.